Don't miss the epic two hour Downton Abbey Season 5 finale airing Sunday, March 1 at 8pm on OETA. 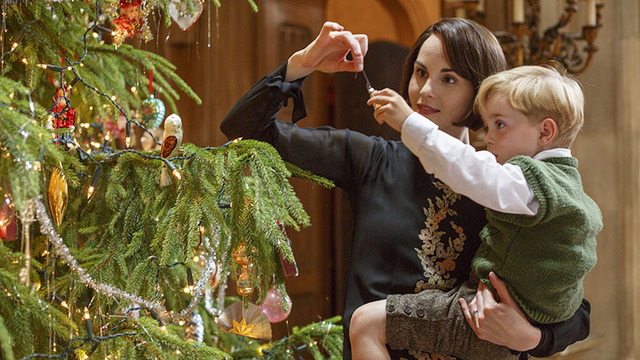 The Crawleys go to a shooting party at a castle in Northumberland and return to Downton for a joyful Christmas holiday. Fun fact: part of Sunday’s finale was filmed on the same location used as Hogart’s in the first two Harry Potter films. Explore other Downton Abbey/Harry Potter connections. Check out the official Masterpiece site for more exclusive videos and bonus features from Downton Abbey, Season 5. Oh! And don't forget to check out OETA's recap podcast, UP WITH DOWNTON!